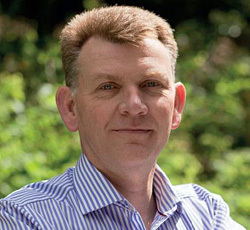 Barry Menzies, Managing Director, MIDEL, discusses some of the world’s most extreme transformer environments and what they can teach us for everyday applications. The world’s first liquified natural gas (LNG) project within the Arctic Circle, the USD 27 billion Yamal LNG facility sits on permafrost in a region where temperatures can fall past -50° C. Such extreme conditions pose many engineering challenges, not least those relating to the 20 or so power transformers charged with keeping the project running. Transformers are critical pieces of equipment, required to reliably operate in some of the world’s most extreme environments. This has led to engineering innovations to help them operate safely and effectively under a wider range of operating situations, such as the use of synthetic ester fluids in place of mineral oil. Just as yesterday’s Formula One tech influences today’s commuter cars, there are lessons here we can apply to more mainstream environs in future. And it’s vital that lessons are learned: because tomorrow’s normal may well be more extreme than today’s. As the Intergovernmental Panel on Climate Change’s latest report warns, climate change will “significantly worsen the risks of drought, floods, extreme heat and poverty”, and as the frequency and severity of extreme weather events increases and urbanisation ups the stakes in terms of transformer safety risks, extreme may well become more every day. In the case of Yamal LNG, a synthetic ester fluid with a pour point of -56° C was used to mitigate freezing and fire risks; with higher flash and fire points, an external fault would be far less likely to lead to a failure or fire, therefore reducing the chances and potential severity of an incident, in a location where billions of dollars of investment have been made. It’s not just the Arctic Circle where this is an issue; wind turbines in locations such as Canada, Northern China and the North Sea also suffer from the cold. Owing to the intermittent nature of renewable energy, there is increased risk of freezing when the turbine isn’t running. Using an ester fluid with a very low pour point would then help with “cold starting” the transformer when the turbine is energised. Conversely, synthetic esters offer equal advantages in the opposite extreme. Consider Kuwait, where the mercury behaves quite differently than in Yamal, with ambient air temperatures rarely dipping below 50° C in the summer months. In fact, engineers design transformers assuming 58° C.
This is the air being used to cool the equipment. 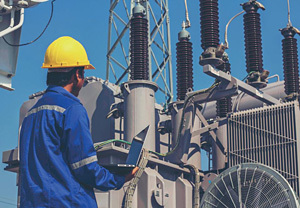 In practice, once it has been taken into the transformer, it is probably closer to 70° C. As such, you have assets running very close to their maximum permitted temperature. If any faults occur that restrict liquid flow – causing hot spots in the transformer – then localised overheating can happen. That’s when mineral oil transformers explode and burn – a phenomenon known in Kuwait as “popping”. With a fire point considerably exceeding that of mineral oil, synthetic esters again mitigate the safety and financial risk of failure. However, there are also additional benefits in terms of reduced maintenance costs, as the extreme heat accelerates chemical reactions that cause degradation. The use of an ester fluid could potentially compound cost savings on auxiliary cooling equipment that would otherwise be needed. In the midst of this extreme environment, the Kuwaitis have proactively embraced risk mitigation and adopted synthetic ester transformer fluids on a national basis. Not all transformers are air-cooled though. Some aren’t even exposed to air at all. Subsea transformers are used in powering subsea oil and gas facilities (and perhaps renewables in future) and though fire risk isn’t an issue, this gives two key requirements. First, the transformer fluid must stand up to extreme pressure without changing properties. Second, it must be environmentally benign and non-toxic in case of leaks. Biodegradable synthetic esters are used in transformers up to five kilometres below sea level to deliver exactly these solutions. From deep below sea-level, to the slopes of your favourite ski resort: altitude also poses challenges for transformer design. Despite the usual association with cold, air-cooled, high altitude transformers are actually at increased risk of overheating. The thinner air is less effective at transferring heat away from the transformer, meaning the increased fire protection of ester fluids are ideal. Another major risk to transformers is water ingress. As such, extremely humid environments are challenging for transformers. Here, unless the maintenance regime is absolutely flawless, there is a high chance that water will enter the transformer. Transformer fluids all have a moisture saturation point, up to which they can absorb the water without problem. However, while esters offer a saturation point of 2,700 mg/kg, mineral oil can only manage 55 mg/kg. This problem is exacerbated in humid environments that also threaten extreme swings in temperature, such as during tropical rainstorms. As the liquid cools, its saturation point falls, meaning it may expel water that had been absorbed earlier at warmer temperatures. Extremity isn’t only about ambient characteristics though, it can also be seen in the increased frequency of extreme weather events. 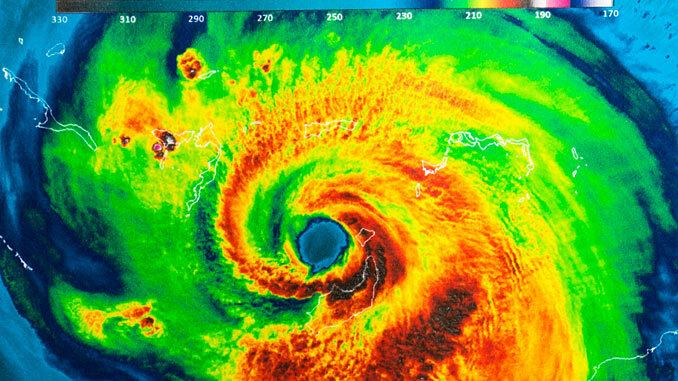 Though choice of ester fluid won’t contribute to a transformer’s ability to withstand a hurricane’s onslaught, for example, it can offer a significant boost to environmental and societal resilience. Firstly, as a more fire-safe fluid, esters offer a degree of protection where storms or flooding cause electrical faults within the transformer. Secondly, as a non-toxic, biodegradable option, if the transformer is damaged and leaks, the environment is protected. However, ester fluids also contribute to resilience in other ways. New York utility Con-Ed has invested in a mobile “resilience” transformer. Made by Siemens, this is small enough to be loaded on a flatbed and moved quickly to blackout sites to restore power in days rather than weeks or months. This is possible as, by enabling operation at higher temperatures, ester fluids reduce the necessary size and weight of the transformer. 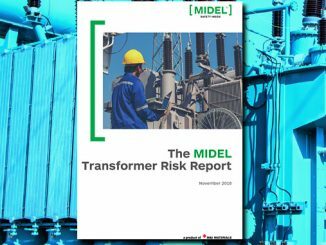 The concept of making and deploying smaller transformers is growing in popularity and promises to be a real-world growth trend. Climate change is upon us and the experts tell us to expect more of these types of extreme weather events. But for many, everyday environments will become more extreme too. The UK’s Met Office warns that climate change will mean that conditions such as the summer heatwave of 2018 become more frequent in future. Though uncomfortable in the UK, in Spain temperatures peaked above 45° C and northern Europe saw forest fires rage out of control, as did California and Australia. Tomorrow, operators may find the lessons learnt in the harsh extremes of Yamal or Kuwait become increasingly applicable to more and more assets around the world. As the extreme becomes more everyday and the everyday more extreme, today’s best practice will be tomorrow’s standard practice.